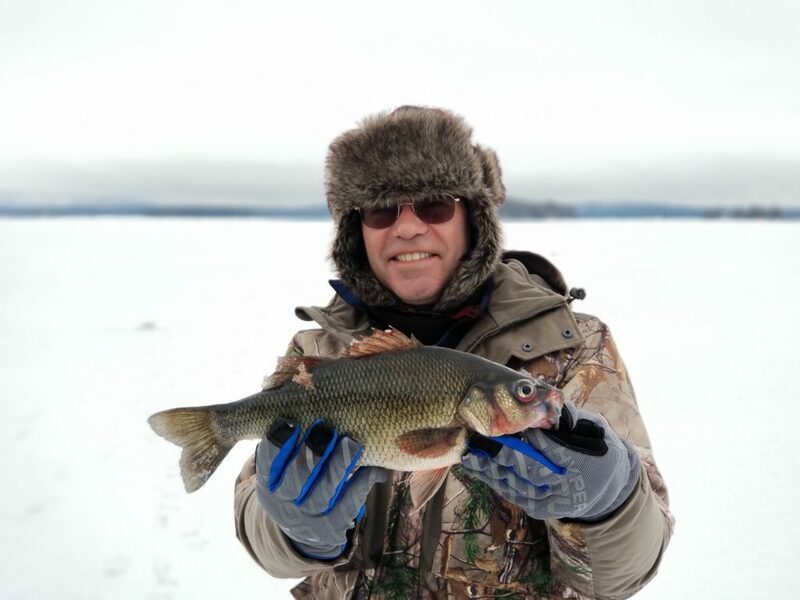 We offer the very best ice fishing experiences available. 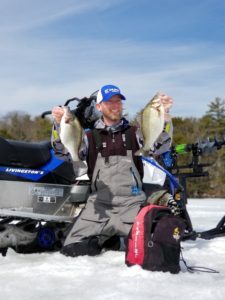 TMO guide/owner, Tim Moore has been featured on national television publications and featured on the cover of several national and regional magazines. 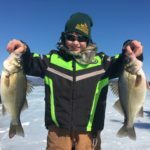 We use the most knowledgeable and friendly guides and the highest-quality equipment and gear to offer a safe, fun, and successful ice fishing experience. 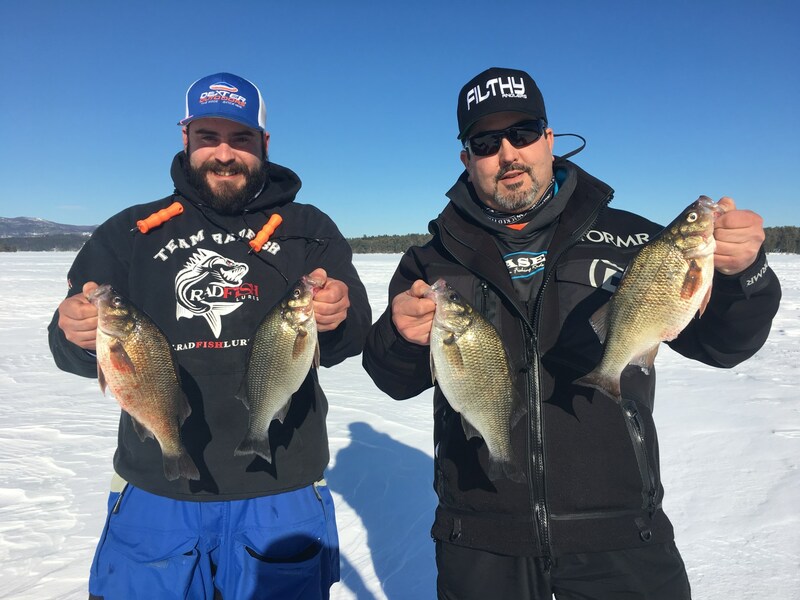 We fish primarily for white perch and lake trout, but occasionally target smallmouth bass, rainbow trout, and eelpout (cusk) on jigs and tip ups. 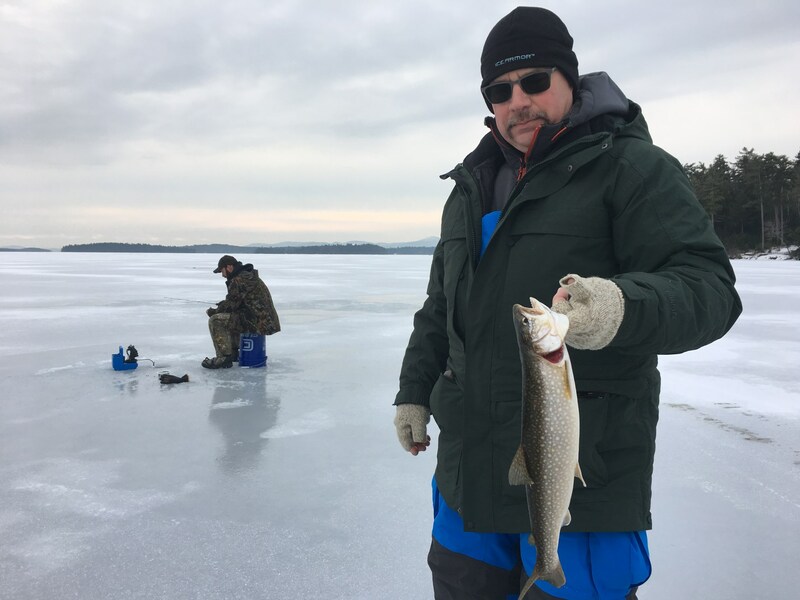 Anglers are required to leave the waters of New Hampshire with the head and tail intact. 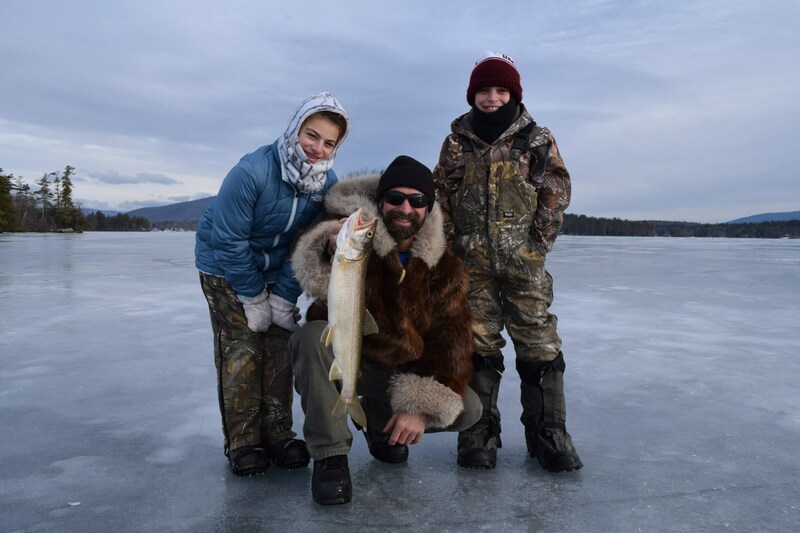 You'll enjoy a truly world-class experience when you fish with us. 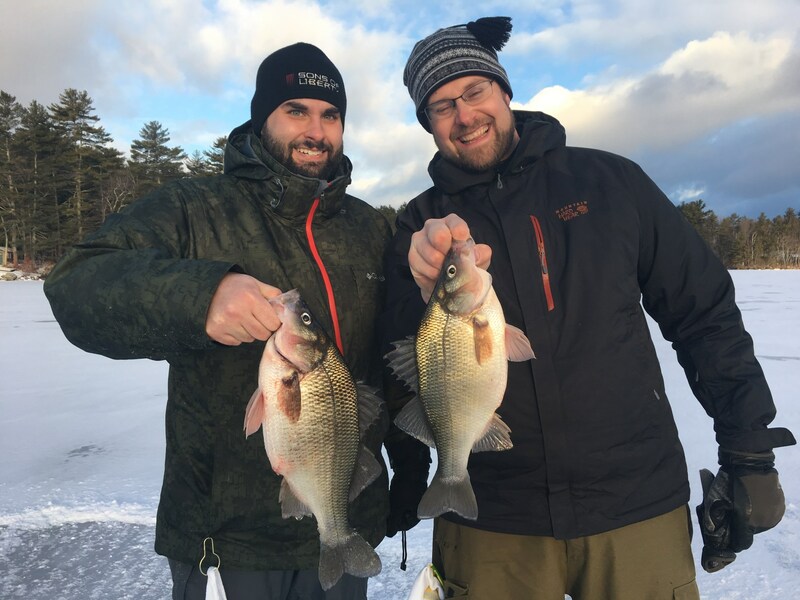 From the quality of our equipment and gear, to the knowledge of our guides, our trips are unmatched anywhere in New Hampshire. Your on-ice experience is of the utmost importance to us. 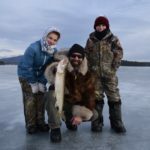 We have the knowledge and experience to offer the most comprehensive and highest-quality ice fishing trips possible. There's a reason more than 60% of our clients come year after year. Book a trip and we'll show you why. We can accommodate anywhere from one to 25 guests on the ice. Group rate (10 or more people) is $100 per person. Group trips require a 50% deposit at time of booking. Please use the contact form to book your trip. You can schedule the date, or give them their gift and let them schedule their own. Trips booked 21 days or less in advance require payment in full at time of booking. If we can book your date with another client, we will issue you a refund less your deposit. 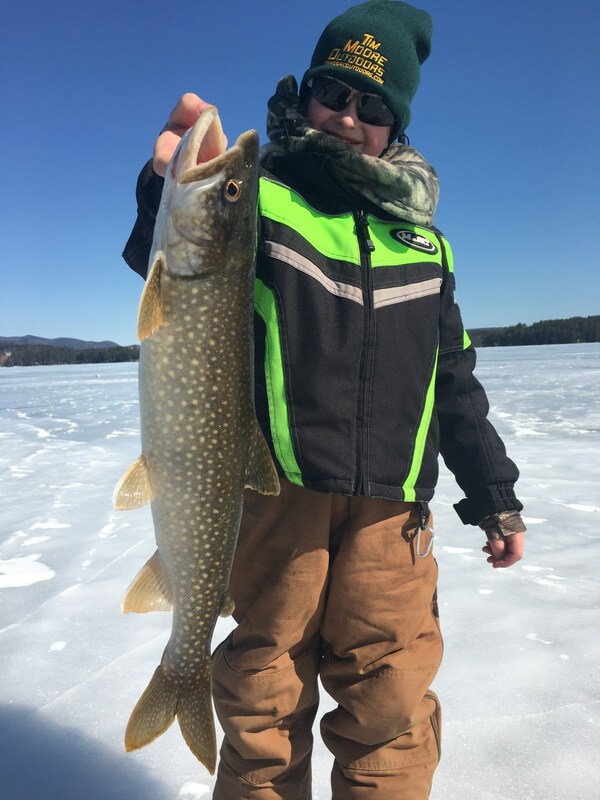 The ice fishing season on Lake Winnipesaukee is from January 1 - March 31 each year. 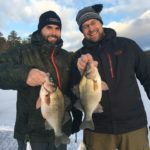 We typically begin running guided ice fishing trips around January 10. This allows us to dial in the best nites and the best ice conditions prior to beginning our season. We guide full-time and usually guide seven days a week. 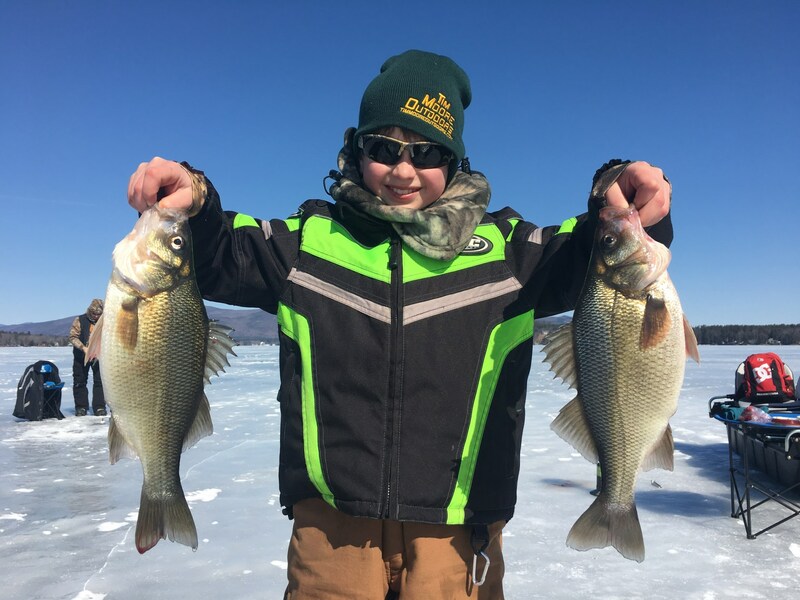 We target giant white perch and lake trout, but also target smallmouth bass, black crappie, sunfish, yellow perch, rainbow trout, and cusk. We guide charters as small as one person and as large as 24 people. Upon booking, guests will be provided with necessary paperwork to complete and return prior to their trip. 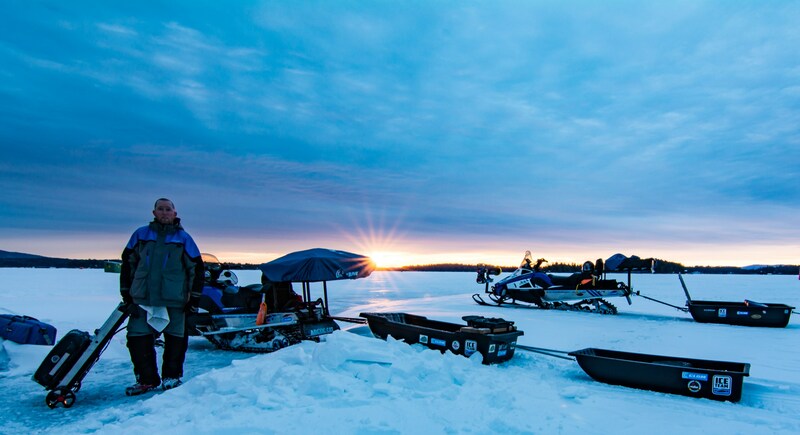 We provide everything you need except clothing, food/drink, and fishing licenses. Trips are 8 hours long. 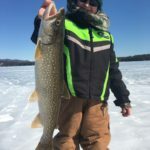 Guests will be given a meeting location at the lake during the week prior to their trip, which will be based on ice conditions and recent fishing results. We meet guests at the provided location and transport everyone onto the ice. With larger groups it is necessary to make more than one trip which will delay the fishing slightly. In the days after your trip you will be provided with high quality hi-res photos taken that day. 1) Review our calendar of availability (above). Safety is our priority. We NEVER bring clients onto unsafe or questionable ice. We guide every day and always have a handle on ever-changing ice conditions. 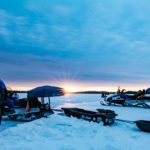 We carry safety gear such as a Nebulus Flotation Device, 50' throw rope, safety ice picks, and your guide wears a floating ice fishing suit. Avoid cotton! Wet or damp cotton draws heat away from your body. Loose layers work best. Tight clothes restrict circulation. 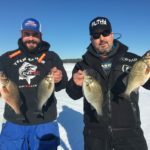 Finish it off with something waterproof, such as ski pants and a ski jacket, or...Clam Outdoors makes some of the best ice fishing outerwear on the market. Check out the full line of Ice Armor by Clam. GOOD BOOTS, GOOD BOOTS, GOOD BOOTS! This is your most important article of clothing. You will be standing on ice! If you plan to wear your fall hiking boots and think, “I’ll be fine,” I promise, you won’t be. Your feet will get cold first, and stay cold the longest. We do our best to make sure you stay comfortable while on the ice, we need you to do yours too. Ice creepers for traction when there is no snow on the ice. 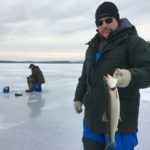 A New Hampshire freshwater fishing license is required by law and not included in your trip.